We bring forth Ylang Ylang Oil for the clients. Our Ylang-Ylang Oil is extracted from Cananga odorata. Ylang-ylang oil is extracted from the freshly picked flowers by water or steam distillation. The first distillation is called Ylang-ylang extra, which is the top grade. 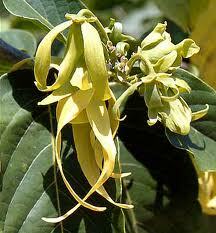 Ylang Ylang Oil is provided by us in sealed packaging to maintain its aroma and properties. It is classed as non-toxic, non-irritant and non-sensitizing oil, yet could cause sensitivity have been reported and excessive use of it can lead to headaches and nausea. Ylang-ylang oil has a euphoric and sedative effect on the nervous system and helps with anxiety, tension, shock, fear and panic while the aphrodisiac qualities is useful for impotence and frigidity. It is particularly useful with rapid breathing and rapid heartbeat, it can also help with reducing high blood pressure and useful for intestinal infections. On the skin, ylang-ylang oil has a soothing effect and its balancing action sorts out over-dry as well as overly-oily skin by balancing the secretion of sebum, and has a stimulating effect on the scalp which promotes more luxurious hair growth.